At 91, Father Joseph Aveni, RCJ was diagnosed with late stage cancer with extensive bone metastases. At his advanced age and with a history of delicate health, he could not take standard chemotherapy and his prognosis was poor. 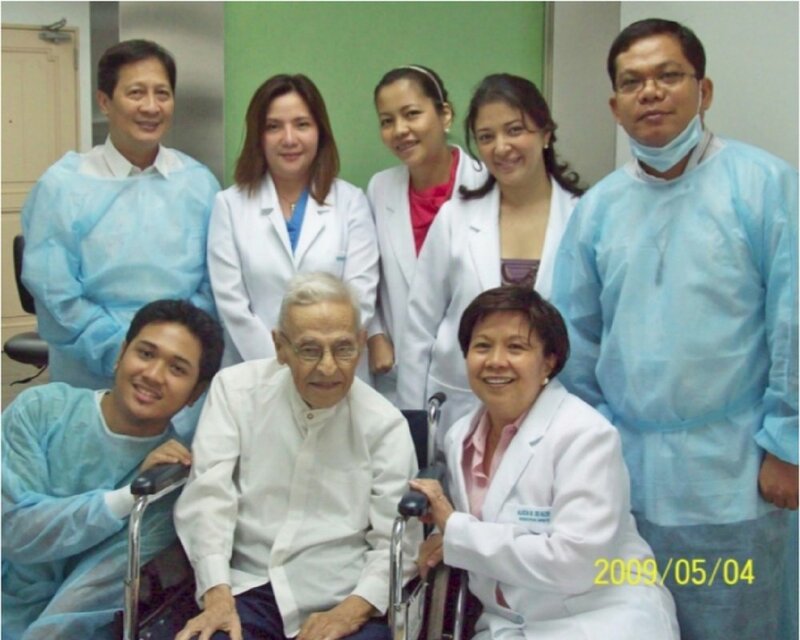 Father Jessie Martirizar requested Rexin-G, a gene-targeted therapy, to help reduce his pain. On receiving the "GeneVieve Protocol" (Rexin-G + Reximmune-C), not only was his pain diminished but his tumors shrank dramatically and he was able to walk again (Intl J Oncol 36:1341-1353, 2010). During his one-year course of therapy, Father Aveni said Holy Mass, taught the Rogationist seminarians, and blessed and comforted other cancer patients who came to the clinic. When asked about his health improvement, he said only God knew why he was still alive. Father Aveni died of natural causes on July 24, 2010. Like Father Aveni, the other patients in the clinic had stage IV cancer with less than six months life expectancy, but most lived longer than one year (Ignacio et al., ASCO, 2011). Worldwide, nine patients are alive 9-12 years after Rexin-G treatment (Kim et al., 2017; personal communications, July 2018). The process of Father Aveni's beatification and canonization continues today. The Foundation is named in his honor with the earnest prayer for intercession on behalf of these medical alternatives so that they may benefit cancer patients.